It was perfect; the weather, the beverages and we practically had the whole place to ourselves. 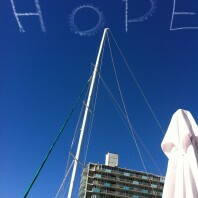 Then a skywriter started writing above us. 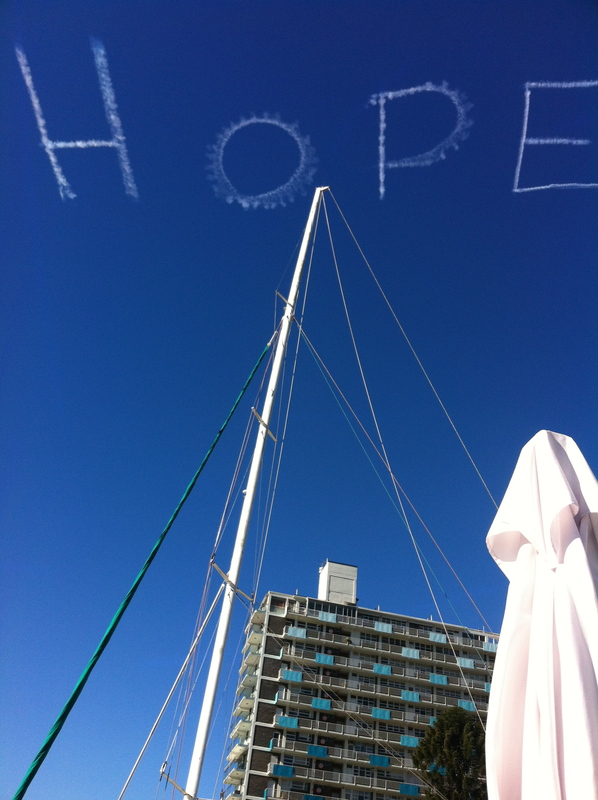 The word was ‘Hope’ – not once but twice. I couldn’t help wonder who had commissioned it and why but it was a lovely addition to the day. As Harvey Milk once said; “You’ve gotta give ’em hope”.